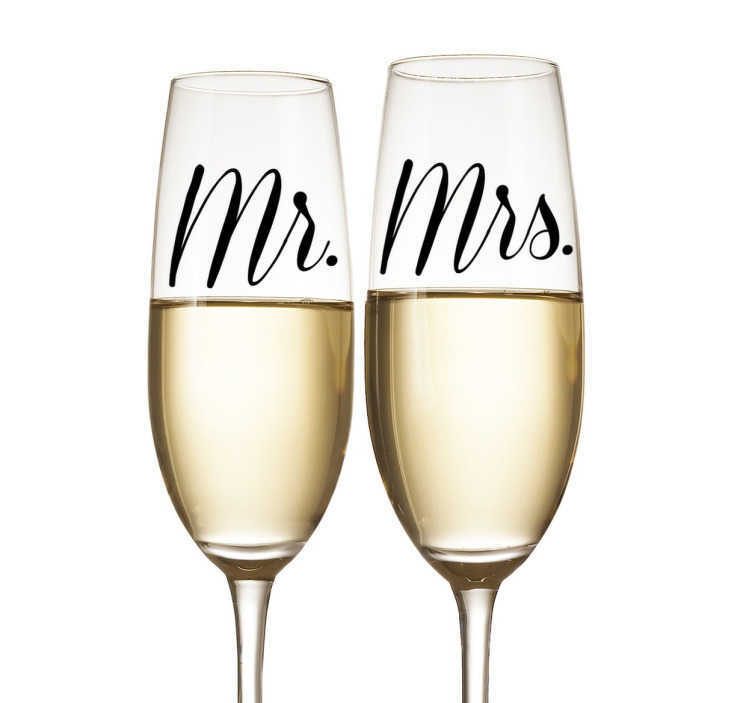 These original Mr and Mrs decorative stickers are absolutely perfect for adding a personal touch to your glasses! Featuring the text "Mr" and "Mrs" in an elegant and romantic font, these vinyls are as easy to apply as they are to remove, leaving absolutely no residue upon removal! These stickers are ideal for weddings!